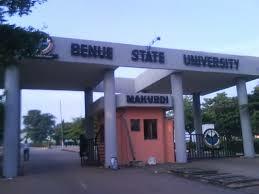 The Benue State University, Makurdi [BSUM] College of Health Sciences, Medicine and Surgery (MBBS), Human Anatomy and Physiology Admission List Notice for 2017/2018 Academic Session. This is to inform the general public, particularly candidates who applied for admission into courses offered by the College of Health Sciences, namely Medicine and Surgery (MBBS), Human Anatomy and Physiology for the 2017/2018 Session but did not find their names on the admission list released earlier that they should check their new admission status on the University website for possible offer of admission in any of the courses in the Faculty of Science. To verify their new admission status, candidates do not need to pay and generate a new Personal Identification Number (PIN) as they can use the one earlier generated by them for this purpose. Candidates who are lucky to find their names on the list of those offered admission in any of the courses in the Faculty of Science and are willing to take up the offer should proceed and commence their registration immediately. Details of the guidelines for registration of newly admitted students can be found here BSUM School Fees & Course Registration Guidelines - 2017/2018 while those living around and within Makurdi can contact the Academic Office, Office of the Registrar, for clarification, if necessary.